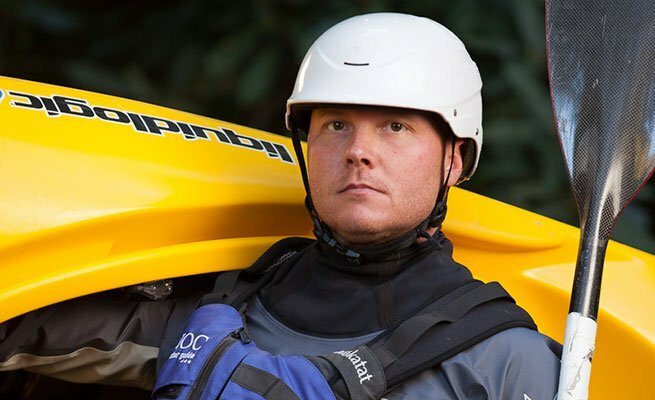 Tosh began his career at NOC in our retail organization as Paddlesports Product Manager. In that capacity, Tosh was responsible for all paddlesports product offerings, ordering and replenishment, and sales in the NOC Outfitter's Store - one of the nation's leading paddlesports specialty retailers - where he controlled millions of dollars of inventory. Tosh was then promoted to Paddling School Manager, where he oversees the largest whitewater paddling school in the world. Tosh holds numerous certifications including ACA Kayak Instructor Level 4 and Rescue 3 WRT-A and SRT-A. Tosh's life is whitewater. His greatest achievement has been not settling for an "ordinary" life. His career revolves around his true passion for whitewater and he has the ability to share that passion with others. Most recently, Tosh went on a self-support kayaking trip with other NOC guides down the Grand Canyon. His favorite NOC adventure is Adventure Travel to Chile.